I’ve been homeschooling most of my life – first as a homeschool student myself, and now as a homeschool mother of four. Now that I’m graduating my oldest son, it’s a good time to look back and see what works and what doesn’t work. And you know what works? Easy. Easy works, hard doesn’t. It seems obvious, but that’s not how I tend to operate much of the time. I seem to think that if I complicate things, if I work harder, if I make things more difficult for everyone, then homeschooling will be better. But it never is. Instead, when I take it easy and relax – and when I let my children take it easy and have fun – everyone learns more. Homeschooling is a joy instead of a chore. It’s funny how that works. There are 10 simple ways I have learned to make homeschooling easier. If I remember these tips, our homeschool days go smoothly. See if these are things you can use in your homeschool, too. 1) Throw out the teacher’s manual. Most of the time, even for those intense high school subjects, it doesn’t do me much good to follow the teacher’s manual too closely. I start micromanaging my student, pressuring him to give the exact word-for-word scripted answer, and making him jump extra hoops to prove he knows the material. That takes all the joy out of lessons. Instead, I need to look up into my student’s eyes and speak into his heart the words of truth I need him to know. 2) Respect my own teaching style. I don’t teach like you do, and you don’t teach like I do. Neither one of us teach exactly like the teacher’s manual authors do. And you know what? That’s great! We each have our own giftedness, our own special way of communicating truths to our students in meaningful ways. We need to teach with our strengths to be most effective – and to find the most joy in our homeschooling. 3) Make only useful lesson plans. I used to think I had to make these detailed lesson plans and fill out all the boxes on the lesson planner to be a good homeschooler. Boy, was I wrong! That was such a waste of time! I was, once again, trying too hard to teach like someone else, not like the mom God created me to be. So now, I just write down the couple things I don’t want to forget (like the books to read aloud or concepts to talk about) and leave it at that. The lesson plan police haven’t incarcerated me yet! I learned this from my youngest son when he grew weary of my constant phonics drilling. He asked me “Can we do this just 5 minutes?” and demanded I set a timer. You know what? It was the accountability I needed to stop harping on a hard task. After a couple days of that, he no longer dreaded phonics time. Since then, I’ve started setting limits on all my teaching. Usually I ask my teens to tell me when the clock strikes 11 that they don’t have to listen to my history lecture anymore! They love that, and it keeps their attention on the subject at hand since they know an end is in sight. 5) Make learning fit your family. It seems like, when we first start homeschooling, we try so hard to be good homeschoolers & we pressure the entire family to fit into the homeschooling mold. We want so much to do a good job, so we make the family fit into homeschooling. But that doesn’t work. Everyone becomes weary of that quickly, because it feels foreign to who we are. Instead, if we can make homeschooling adapt to our unique family culture, we will have more resilience and joy for the long run. We need to take the freedom to homeschool, each of us, in our own unique way. 6) Understand your student’s unique learning style. I talk about this quite a bit in my book Homeschool Made Easy because it makes all the difference. If we can appreciate, celebrate, and maximize each student’s unique, God-given learning strengths, we’ll ignite his love of learning and take so much pressure off ourselves. 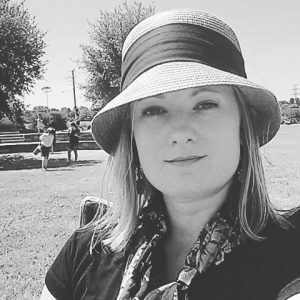 It was so eye-opening to me as a mom and homeschooler. The biggest mistake I made in my early homeschool years was workbook overload. I had my poor preschooler loaded down with paper after paper, day in and day out. By the time I got around to my fourth child, though, I had greatly simplified things. Last year, I only ordered one workbook! They key is to have just what your visual learners need, and no more. 8) Teach more group lessons. I have one elementary student, one middle school, one freshman in high school, and one graduating senior. Yet there are few subjects, now, that my students take one-on-one. Most of them are combined with one or more siblings. Once I started combining subjects, I was addicted and couldn’t stop! It made things so much easier for me and even more enjoyable for them. They learn a lot from each other and even have a healthy competition going on for who can know more about the Renaissance! 9) Go to the library. I love the library, but somewhere along the way I let myself get too busy for regular library days. When I took back the family schedule and put library day back on it, it was amazing the difference. My teens look forward to finding extra resources on their subject matter, and my younger boys enjoy perusing the dinosaur books and “choose your own ending” novels. When I am teaching them in the library, I just feel like a homeschool mom, know what I mean? The biggest way to make things easier for homeschooling is simply to relax. When I quit pressuring myself to be the perfect homeschool mom, to make the perfect homeschool projects, to churn out perfect homeschool graduates, I then have the freedom to love my children and to love learning along with them. And that’s what it’s all about. 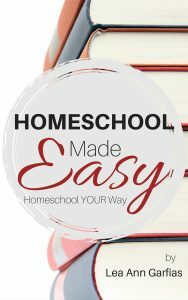 Find out below how you can enter to win an e-copy of Homeschooling Made Easy! Author Lea Ann Garfias helps moms recognize the extraordinary impact they make with their seemingly ordinary lives. A homeschool grad and homeschooling mom of four, Lea Ann fuels her roles as author, professional violinist, choir director, and soccer mom with a whole lotta coffee. Connect with her at lagarfias.com. Homeschool Made Easy, by homeschool graduate, author, and busy mom of four Lea Ann Garfias, provides simple solutions for today’s homeschool mom. 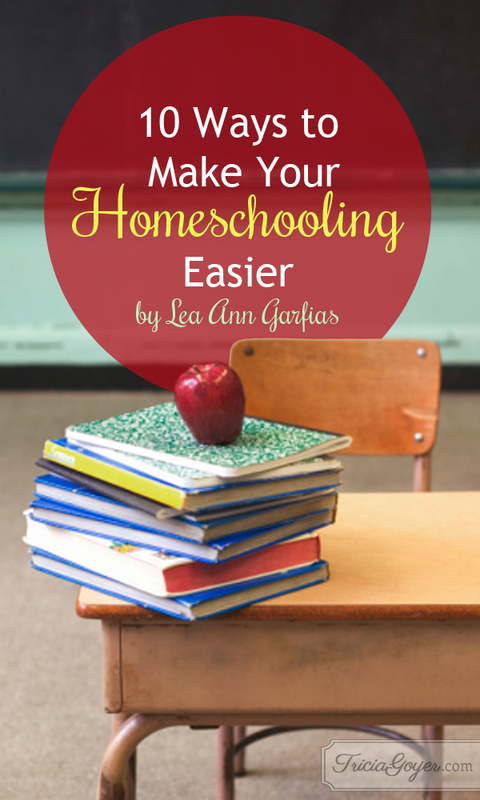 Lea Ann gives simple solutions to common teaching frustrations and helps homeschool moms regain their joy and freedom. Lea Ann empowers moms to identify their own strenghths and the unique abilities in their children and then to unlock their full potential. Make homeschooling fun again — with Homeschool Made Easy. I agree with this! Thankfully I saw some of these same mistakes very early in our homeschool journey- my oldest is 5. The first 2 years were a “success” by academic standards. However, they were so stressful I wanted to put him in public school because surely it would have been a better experience for him! But I begged God to help me to change, not to PUSH so hard, and He did! Where there is a will, there is a way. And now I’m homeschooling 2- 3 and 5, but only because they BEG ME to teach them . . . 7 days a week. Morning. Noon. And night! Now THAT is a success!! Not whether or not my kid has perfect handwriting. I ordered the workbooks the curriculum called for, because I need that accountability. However, I absolutely hate them. He does need to know how to write, so they are necessary at his age, but I will NOT be ordering some of them again- like the social studies and Bible activity book. They have a few sentences on each sheet and make him color the rest. Pointless, especially bc coloring is too tedious for him! Anyway, thanks for this . I am so glad I found you and your no nonsense homeschool approach. It has truly helped this homeschool rookie.